Welcome to the website intended to serve Australians interested in Australian Heritage. This website was created in 2003 to assist a new political-generation of nationalists who established the Sydney branch of the Australia First Party. There is a growing resistance to the politics of New World Order liberal-globalist-capitalism throughout Australia and in the rest of the world. Australian families, workers, farmers, small business owners and other patriotic working people are recognising they are bonded against a globalising traitor / ruling class of money and position. This patriotic resistance requires a new sense of direction and a new leadership. This leadership can only come from the various forces of nationalism and patriotism in this country. There must be a non-sectarian and co-operative spirit in building activism at the base level amongst all nationalist and patriotic people. This unity in action will be the first stage in winning political and organizational unity. A united movement can then best direct the resistance struggle. All nationalists and patriotic Australians now have a political vehicle. They are urged to get behind AFP and should consider membership in the Australia First Party. The party is a registered party in New South Wales and became a Federally registered party in June 2010. In joining this new force, applicants are affiliating to a national movement of men and women dedicated to a program for the reaffirmation of Australian identity, independence and freedom. The views expressed by the authors are not necessarily the views of the Australia First Party. At all times, the AFP encourages debate to define its policy and method. Authors who have allowed reproduction of their articles here are not necessarily members of the AFP. You may contact Australia First by e-mail, or as below. The failure of erstwhile patriotic movements and parties to build a movement amongst the people to affect change – is marked. It is time to move the resistance forward on this new and activist basis. You have your country to reclaim! The ANZAC Declaration: Australia First Party And New Zealand Nationalist Alliance: Declaration Of Common Interests And Future Relations (April 25 2008) and the Manifesto Of The Australia First Party And The New Zealand Nationalist Alliance (June 14 2008). Collected pieces by one of Australia’s leading nationalist thinkers and activists. The open bid for thought control and police dictatorship in a crucial multiculturalist conference in February 2006; and our response to their sixty recommendations for absolute power. 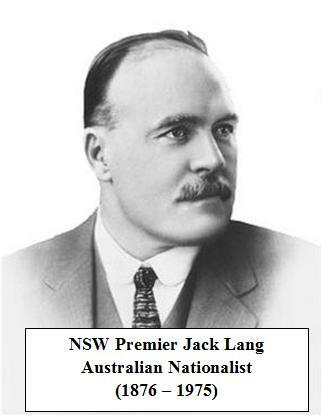 On-going commentaries by various authors on the false Sydney ‘anti-racist’ / ‘anti-fascist’ globalist movement, the success of the Sydney Forum, Australia First Party activism, news of the patriotic movement in general. A necessary guide for all on the struggle in Sydney. Mould On Toast Joni, May 2 2006. A Clever Game by Anon, December 2003. Ten Reasons To Oppose The Fake Republic Jim Saleam, November 2004. Tools And Fools: Trotskyites Unmasked! Jim Saleam, May 2003. The Cultural Struggle Anon, October 2002. The Illusion Of Parliament: What Is Parliament? Understanding Parliament And The State Power Jim Saleam, March 2003. Reclaiming The ‘Freedom’ Heritage Of Eureka Stockade Jim Saleam, January 2003. Nationalism And The Moslem Question: Thoughts On Foreign Policy, Immigration And Defence W. van Blitterswyk, September 2002. Eddie Ward: East Sydney Firebrand. A Prophet Who Discerned A Globalist Agenda In 1946. K. McCauley, October 2002. The American Century. Antonia Feitz, March 2003. Questions For ‘The Greens’. Alex Donovan, May 2003. The New Class Elite. K. McMannus, May 2003. The Refugee Invasion: Getting Into The Collective Brain Of The ‘Open-Borders’ Gang Jim Saleam, June 2003. Beyond The Politics Of Left And Right Jim Saleam, August 31 2003. Political Trials In Australia: Pauline Hanson Is Only The Latest Victim. A Discussion Based On The Speech One Nation Banned. Jim Saleam, September 11 2003.